but not so at Enchanted Dancewear! Sarah is demonstrating how those extra inches dramatically increase her reach with her uphill struggles. And finally, in this uphill battle is Avaree, training to be a future employee. 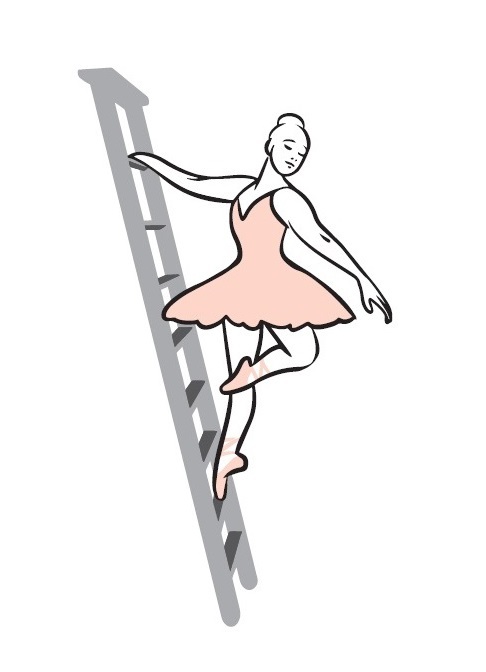 As you can see, at Enchanted Dancewear we use Library Ladders to access our large inventory of dance shoes. Every day we climb these ladders dozens of times (great for leg muscles). These library ladders have become such an integral part of our lives that we had the burning desire to share our ladders with you. ...And then we took our fondness a step further and created a new logo to memorialize our unconventional use of ladders. 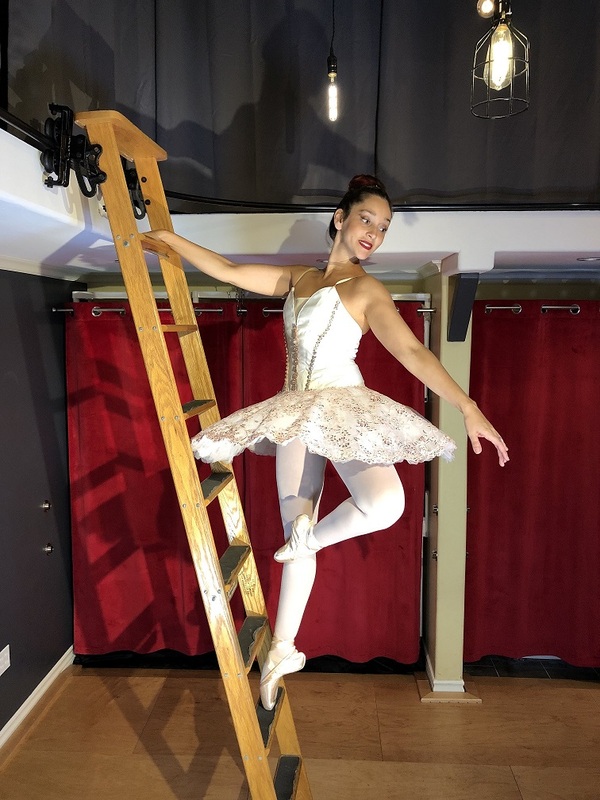 Behold the new Enchanted Dancewear Library Ladder Logo, specifically modeled after this picture of Sarah in an enchanting and graceful pose atop her favorite implement of organization. Enchanted Dancewear makes sure to stock the latest dance shoes, dance clothing, and accessories. 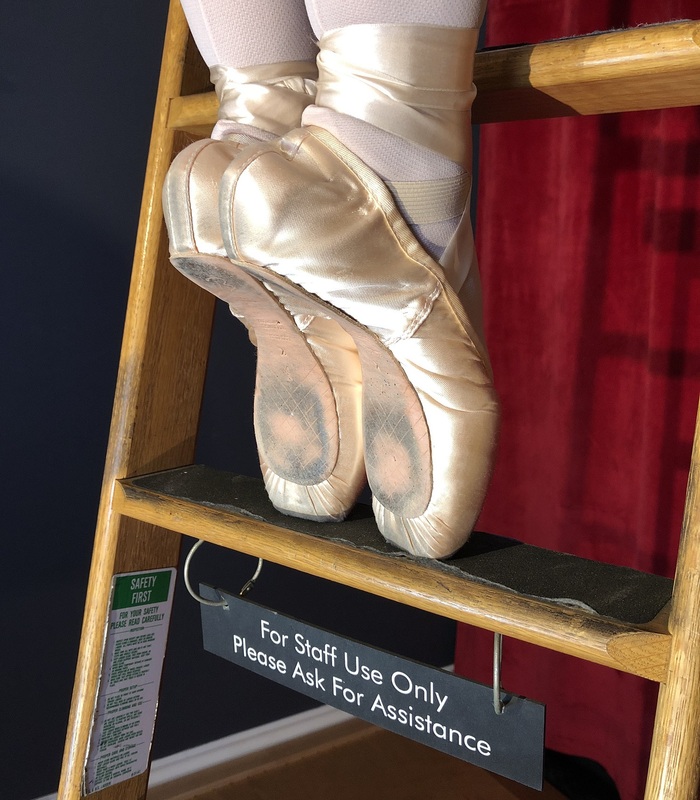 We offer the charm of a boutique, while providing products that meet the needs of our dance customers! We pride ourselves on excellent customer service. Enchanted Dancewear opened in June of 2015. Since then we have become a major dance retail shop, offering incredible customer service and products. 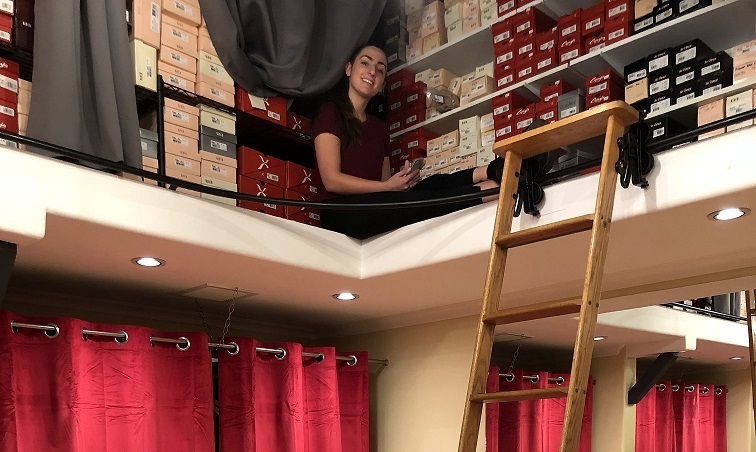 The store was opened to offer a unique appeal to our dance and athletic wear customers. Owner Sarah Gallegos guarantees the lowest prices around on all of our products! Come on in or visit our web site to see what we have to offer!